What is mental illness? Mental illness is hard to understand and describe. If you don’t have it, there is a variety of ways in which you might view it. Some see it as a disability that can be overcome with determination. Some see it as make believe, meant to draw attention. Others see it as what it is, an illness. An illness, that while not visible to the naked eye, that is just as dangerous, if not more dangerous, than a physical illness, if it is left untreated. But how do people who suffer from it, view it? In the case of Julia La Bonte, another Buzzfeed reader who suffers from Bipolar Disorder, “when I’m having a manic episode, I’m unstoppable. Mania inspires me to pick up new hobbies, like knitting or couponing, just to drop it all the second my manic episode has ended. In the beginning of a manic episode, it just feels like a productive day. It starts off with me doing everything I’m supposed to without much effort. But then I’m up at 3 a.m. reorganizing my closet even though I have to be at work early. When I’m manic, I don’t feel bipolar. My mania feels like success. It feels like I’m finally doing everything right and nothing can go wrong. Casey Gueren. “Here’s What It’s Actually Like To Live With Bipolar Disorder” 21 Apr. 2016. Accessed 27 Feb. 2019. https://www.buzzfeed.com/caseygueren/bipolar-disorder. In the latter case, you can see the productive, “good side” of Bipolar disorder. In the former, you can see what that “good side” eventually leads towards. But like Julia says, when you’re in the “good side”, you don’t realize it. You don’t realize that what you feel isn’t real. You don’t realize that the way you act, while it feels completely normal, rational and reasonable to you, might seem weird, off putting, eccentric, even scary and many other negative things to others. There’s no magic switch or alarm that lets those who suffer from it know when they are in a manic or depressive episode, or if one might be coming. All they know, is that eventually, it will arrive and in most cases, it will cause damage to the person who suffers from it and the people who are in the blast radius of it. There are others echoing that sentiment(they can be read here: https://www.buzzfeed.com/caseygueren/bipolar-disorder) of therapy, medication and self belief. Unfortunately, it is hard to make someone who is suffering from Bipolar disorder, or any mental illness, believe that the suffering is temporary and that it can be overcome. However, if the person can be convinced to try a strict regimen of taking their medication and going to therapy, the belief will come. A quick google search will show hundreds and thousands of similar posts. Not just for Bipolar disorder, but for all kinds of mental illnesses. The unfortunate, high-profile deaths of superstars such as Avicii, Anthony Bourdain and Verne Troyer(among others) in the last year, has led to an increase in attention from the general public towards mental illness. However, there is still not enough attention being paid. Here are some sobering facts, courtesy of National Alliance on Mental Illness“Mental Health By The Numbers.” NAMI: National Alliance on Mental Illness. Accessed March 05, 2019. https://www.nami.org/learn-more/mental-health-by-the-numbers: 43.8 million Americans, at any given time, suffer from a mental illness. Out of the 20.2 million adults in the U.S. who have a substance use disorder, 50.5%, 10.2 million, suffer from a mental illness. 70% of those in juvenile justice systems, have at least one mental illness. Untreated American adults who suffer from a serious mental disorder, on average, tend to die 25 years earlier than others. Suicide is the 10th leading cause of death in America. Every day, between 18 and 22 veterans die by suicide. So, what is mental illness? It doesn’t matter. What matters is that it is affecting everyone. If not directly, then by seeing someone you know or love being affected by it. It is an issue that needs to be tackled. We are no longer in the dark ages of psychiatry, where electroshock therapy and insane asylums are the only courses of action. We now have a variety of behavioral health treatments available. As you can see from the examples in the Buzzfeed article, it is absolutely possible to have a mental illness and still live a full life. Now the mission is to reduce the stigma around mental illness and encourage those who need help to reach out and ask for and get it. But, how do we ensure that the people who need it, get the best care possible? According to an article in ForbesJapsen, Bruce. “Psychiatrist Shortage Escalates As U.S. Mental Health Needs Grow.” Forbes. February 26, 2018. Accessed March 07, 2019 https://www.forbes.com/sites/brucejapsen/2018/02/25/psychiatrist-shortage-escalates-as-u-s-mental-health-needs-grow/#16f296fc1255, there are 28 thousand psychiatrists in the United States. Yet, people are unable to get help with behavioral health issues. Why? One of the biggest reasons that those in need of help with their mental health don’t get it, is because of the difficulty finding a behavior health practitioner who takes insurance. Take for instance the case of Emily Taylor. After a break-up, Emily experienced anxiety and depression. When she tried to find help, she was unable to do so due to finding it difficult to find a behavioral health practitioner who took her Anthem Blue Cross and Blue Shield insurance plan(the second most used health insurance plan in the United States, with nearly 40 million subscribers)Migneault, Jesse. “Top 5 Largest Health Insurance Payers in the United States.” HealthPayerIntelligence. April 13, 2017. Accessed March 11, 2019. https://healthpayerintelligence.com/news/top-5-largest-health-insurance-payers-in-the-united-states. The more you look for an answer in this situation, the more questions you find. For instance, why is the cost of getting mental health care so expensive? The insurance companies’ reimbursement rates are much lower than the rate that is charged regularly. This leads to the behavioral health practitioners not having much of an incentive to work with insurance companies. Furthermore, due to the difference in the way they practice medicine, behavioral health practitioners, unlike primary care doctors, don’t have a dedicated staff to do the insurance paperwork, which in and of itself is a full time job. One way to work around this issue would be to have an electronic health records (EHR) system, used by almost all healthcare practitioners, that also does insurance filing. 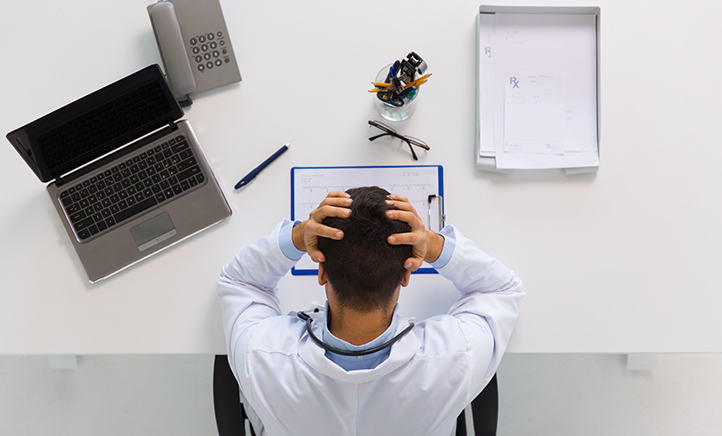 While it might seem absurd to subscribe to an EHR service, instead of hiring an assistant, to help with filing insurance, the EHR would serve multiple uses and it would serve those uses much faster than an assistant could. Take the case of Dr. Johnson. She says that thanks to accepting insurance, her patient load and schedule are maxed out and her practice is thriving. In a situation like this, an EHR that is built specifically for behavioral health care would be perfect, since it would be able to help people like Dr. Johnson keep track of their schedule, find patient charts quickly, take notes faster, keep track of payment and file insurance forms. For now, there seems to be no reforms or changes to be expected in the near future as it pertains to this situation. The number of people who suffer from mental health illness is rising and despite the large number of behavioral health practitioners, there isn’t enough access to proper mental health care. As more and more awareness is being raised about mental health and its importance, the hope for the future is that the healthcare and insurance industries will adapt and evolve enough that this article would be considered a fossil. 1. Casey Gueren. “Here’s What It’s Actually Like To Live With Bipolar Disorder” 21 Apr. 2016. Accessed 27 Feb. 2019. https://www.buzzfeed.com/caseygueren/bipolar-disorder.